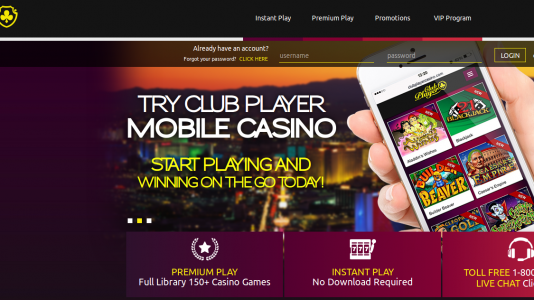 Club Player Casino has a checkered past of being one of the flagship casinos of the Ace Revenue group of casinos. They were in the rogue pit for a while – then out – then in again. They had actually gotten their act together a couple of years ago, but they were recently sold and their support moved from Costa Rica to Eastern Europe. That’s when it went to hell in a hand basket. Since the move, we have had a large number of complaints about casinos in this group, mostly unresolved payment issues. There are better RTG casinos to be found – this obviously is not one of them. Avoid this casino at all costs. If you want to play RTG casinos, there are plenty in our Accredited Casino Section.